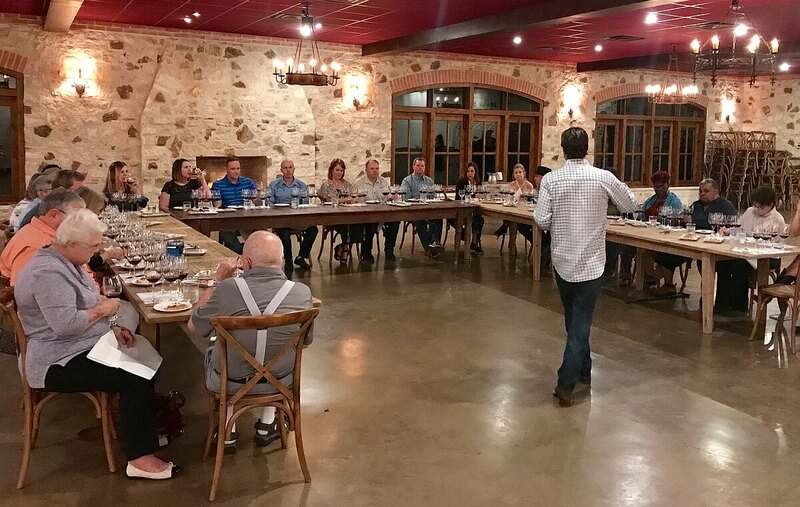 We were excited to make the drive from Fredericksburg to Driftwood to participate in a vertical retrospective of Aglianico wines produced by Duchman Family Winery. Our only problem was the stack of vehicles headed by a very slow (35 mph) driver in a pickup that were looking for Salt Lick BBQ for supper. Once they turned off, we quickly arrived at our destination. 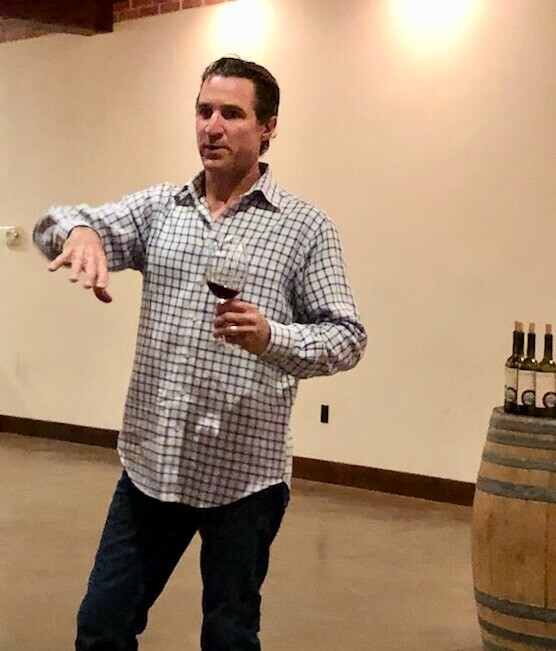 We were among approximately 40 guests for the evening seated at tables arranged in a large U-shape so that winemaker Dave Reilly could address the group from the center and move easily around to visit and address questions. Upon entering the large meeting room, the tables were set with six glasses containing samples of Aglianico that had been released, vintages 2010 through 2015. 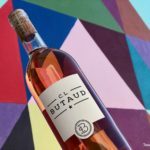 To accompany these wines, the Duchman staff served a first set of appetizers, including sweet bean spread topped with cheese and green onions on toast and tomato spread topped with pepperoni on baguette crisps. Dave Reilly welcomed the group and began to discuss Aglianico in general, adding interesting details for each vintage. Aglianico is a grape native to southern Italy, primarily grown in the regions of Campania and Basilicata. Some spectacular Aglianico wines are produced from grapes grown in volcanic soil on the slopes of Monte Vulture in Basilicata. Because the climate in southern Italy is typically warm and arid, Aglianico has adapted well to growing conditions in Texas, primarily on the Texas High Plains. 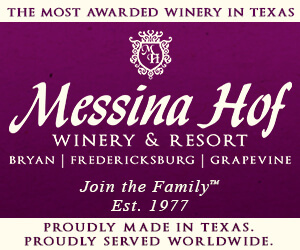 Aglianico also has the reputation of holding its natural acidity in the Texas heat better than most other red grape varieties. 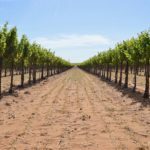 The Texas High Plains AVA offers bountiful sunlight, a significant and beneficial diurnal temperature variation, low humidity, and typically loose, sandy soils in which Aglianico can thrive. 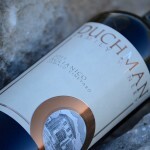 The grapes for Duchman’s Aglianico are grown in the Oswald Family Vineyard near Brownfield, TX, in Terry County (where, by the way, a large majority of Texas wine grapes are grown). Approximately eight acres of Aglianico are planted in the Oswald Vineyard, with the first planted in 2006 and more in 2008. 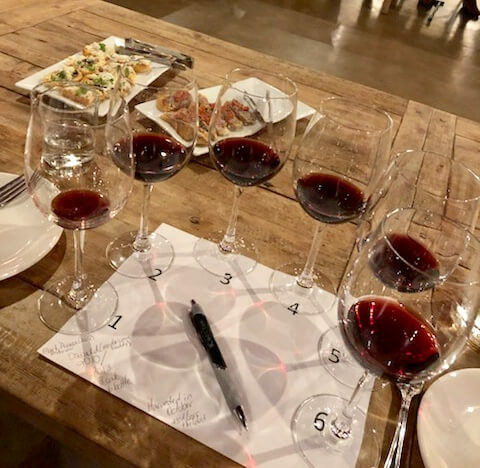 Before actually discussing the wines, Dave Reilly pointed out that all of the wines in our glasses had been opened and poured about 30-45 minutes before the tasting began at 7:15 p.m. or so. 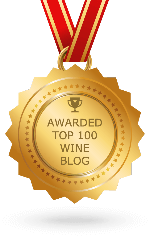 This was probably a good thing for these fuller-bodied, more tannic Aglianico wines. 2010 represented the first significant vintage of Aglianico for Dave Reilly who followed talented winemaker Mark (Rudy) Pena. Folks in the industry probably remember that Pena died in 2008 after battling cancer. Dave took over the winemaking role for Duchman and has produced a series of stellar wines over the past decade, including these wonderful Aglianicos. 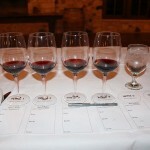 The 2010 was produced primarily from Oswald fruit, although there was probably a bit of Reddy Vineyards fruit included. This was a big crop of high-quality grapes that were harvested on the 23rd of October, 2010. Dave related the story that just before the fruit was harvested and transported to the winery in Driftwood, no tank space was available. So, he and his crew endured the nightmare of bottling wine to clear tank space during an ongoing harvest. All Dave could do was shake his head and say he hoped that never happened again. The 2010 Aglianico was still youthful with lots of dark, plummy fruit. Tannins had mostly resolved and there was only a hint of oak flavoring. Dave pointed out that he uses about 10% new oak barrels for Aglianico to show more fruit and not give the taste of oak “splinters,” even when the wines are young. 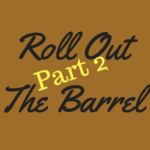 He also pointed out that the typical aging regimen was 30 months in oak barrels (only 10% new) followed by one year in bottle so that the firm structure and ample tannins have a chance to mellow and integrate before release. Dave explained his concept of blending based on the fact that once you make a blend, you can’t un-blend the wine. So, in his role as Grape Wrangler, he carefully and judiciously incorporates the new oak cuvées into the final blend. 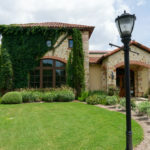 The next wine came from the 2011 vintage, one in which relatively severe drought conditions on the Texas High Plains resulted in smaller berries and limited yields. This wine was clearly more concentrated than the 2010 and showed more tannin on the finish. 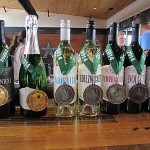 While tasting the 2011, Dave answered a question about best places in Texas to grow his signature red grapes. 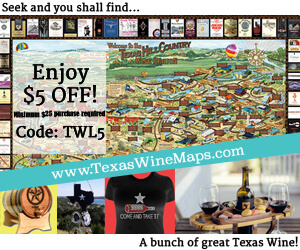 He pointed out that Mourvèdre and Syrah can do well in the Texas Hill Country AVA, while Montepulciano and Aglianico seemed better suited to the higher elevation, more arid Texas High Plains AVA. The 2012 Aglianico was next in line and was clearly a crowd favorite. The wine was big, bold, rich, with a lot of ripe black fruit character, nicely integrated oak flavoring, and ripe tannins that had resolved and softened beautifully. This wine definitely had the WOW factor, and most attendees ultimately came to the conclusion that this was the best wine, at least on this night. As we began the second series of tasting, a second set of food bites was served, including delicious roasted beef tri-tip sliders. These really hit the spot at this point in the evening. The 2013 Aglianico was tasted and discussed next. 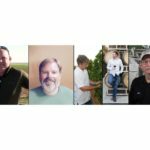 This was the vintage that frustrated grape growers across Texas. Several severe frost episodes occurred, drastically reducing crop levels, and some fairly wide-spread hailstorms caused further damage. Dave noted that he was able to produce only about 10% of the normal volume of Aglianico – from typically 2,000 cases down to only three pallets (less than 200 cases, total!). This wine had a bit of odd flavoring compared to the other wines tasted. It was more floral and showed less intense fruit character. The tannins were there but seemed less integrated into the overall package. The 2014 vintage also presented difficulties following the severe freeze issues in 2013. Yields were lower and the fruit was less than optimum. 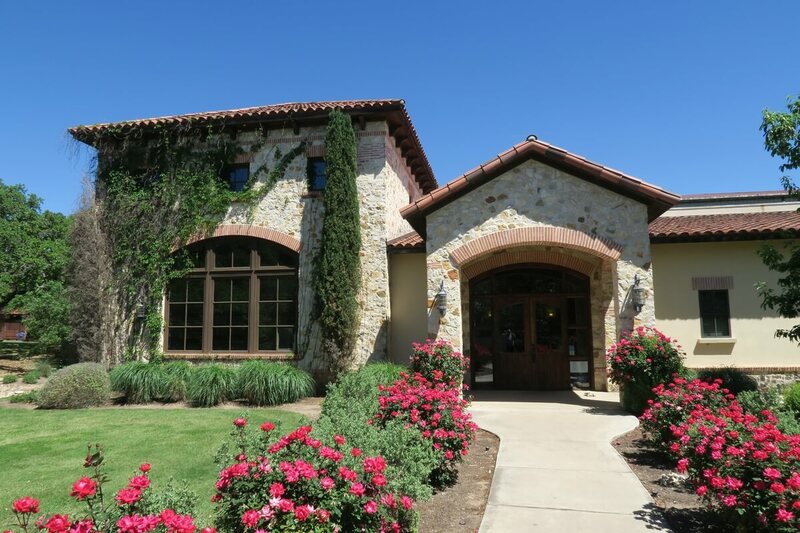 Because of the limited production for 2013, the 2014 was released early just so wine club members could receive some Aglianico, and there would be some to serve in the tasting room. The vintage quickly sold out and Dave indicated were only a case or two were left in the Duchman library. This wine showed concentrated dark, plummy fruit, and tannins that were reasonably well resolved, in spite of an early release. This paired well with the smoky beef sliders, and actually developed well in the glass over the next 30 minutes or so. The fact that so little of this wine remains was most unfortunate since it turned out to be another favorite of the evening. 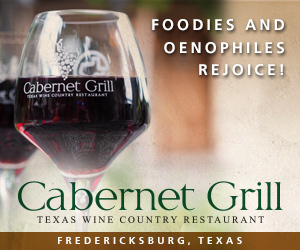 The final wine in the initial offering was the 2015 Aglianico from the year that saw lots of rain across Texas, especially in the Texas Hill Country. You may remember the serious flooding issues over Memorial Day that caused significant damage to several river towns like Wimberley. There was also a lot of early season rain on the Texas High Plains that caused problems with mildew and fungal diseases. Growers that were able to manage these wet conditions went on to produce large yields of good quality fruit. The Oswald Vineyard Aglianico came in with essentially normal yields, ripe fruit character, and good structure and tannins. This wine had been recently bottled and showed its youthful nature – bold, rich, and tannic. In spite of being open in the glass for over 1.5 hours at this point in the evening, it was still tight and a bit “puckery” on the finish. When released in the very near future, this will be a good Aglianico to lay down in the cellar for 2-4 years and will once again demonstrate how well Dave Reilly handles this grape variety. The final three wines of the evening were barrel samples of Aglianico that Dave Reilly had pulled from neutral oak prior to the tasting. 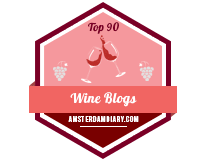 The 2016 sample was really fresh with lots of black plum fruit and notes of freshly cut cedar. It was relatively tannic and clearly will improve with age in the bottle. 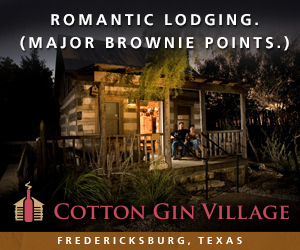 The 2017 sample came from an exceptional Texas vintage in which the weather fully cooperated with grape growers across the state. This wine was really dark in color but less tannic than the 2015 or 2016. It was loaded with rich, ripe fruit and the finish showed a distinct dustiness with chalky tannins. This will be a fantastic wine when released in spring 2021. The 2018 sample was so young and tight it was difficult to evaluate, at least compared to the others tasted this evening. It had only been in barrel for about six months and still showed some prickliness from carbon dioxide that had yet to be released from the inky liquid. 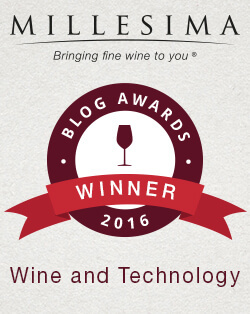 Dave noted that he looks forward to following the development of the 2017 and 2018 Aglianico wines over the next several years. Over the course of the evening we were treated to visits from other key folks at Duchman. Tommy Wolford, general manager, visited with us several times, sharing stories about Aglianico and other Duchman wines from his perspective. 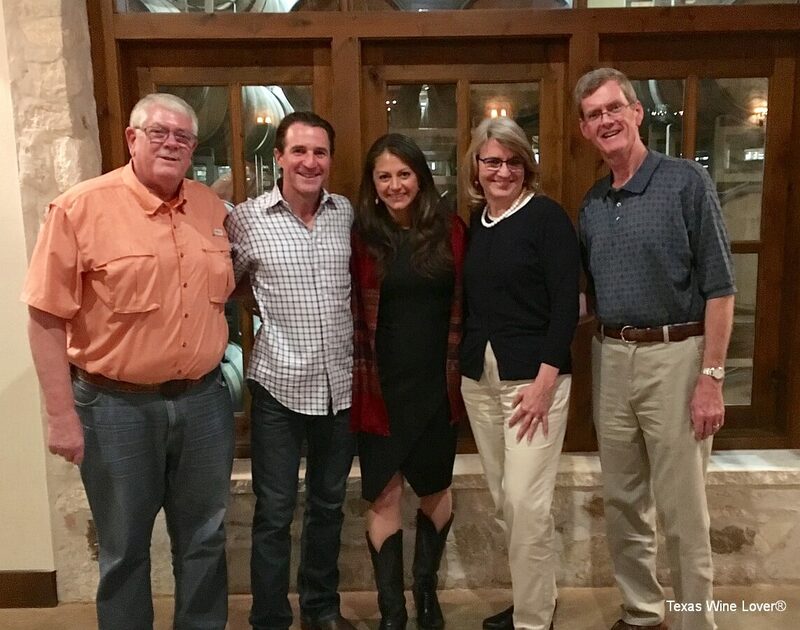 Linda Ryan Reilly, recently married to Dave, graced us with a most pleasant visit, and told some fun stores about her interactions with grape growers and winemakers while working for the Texas Department of Agriculture. At the end of the tasting, the two Duchman chefs were introduced and visited around the tables. Joseph Bannister, the current chef, did most of the food prep for this evening. He is departing soon to accept a position at an upscale resort in the Catskill Mountains of New York. The incoming chef, Phillip Griffin, assisted in preparations for the evening, and we certainly enjoyed his British accent. We wished both chefs the very best for the future. After 9:00 p.m., folks slowly began to leave the table and move outside to their vehicles for the drive home. Many of us also said goodbye to tablemates with whom we had shared a delightful evening of wine, food, and fellowship. It had been especially fun for me to share with two wonderful friends so involved in the Texas wine industry, Laurie and Shelly Ware. 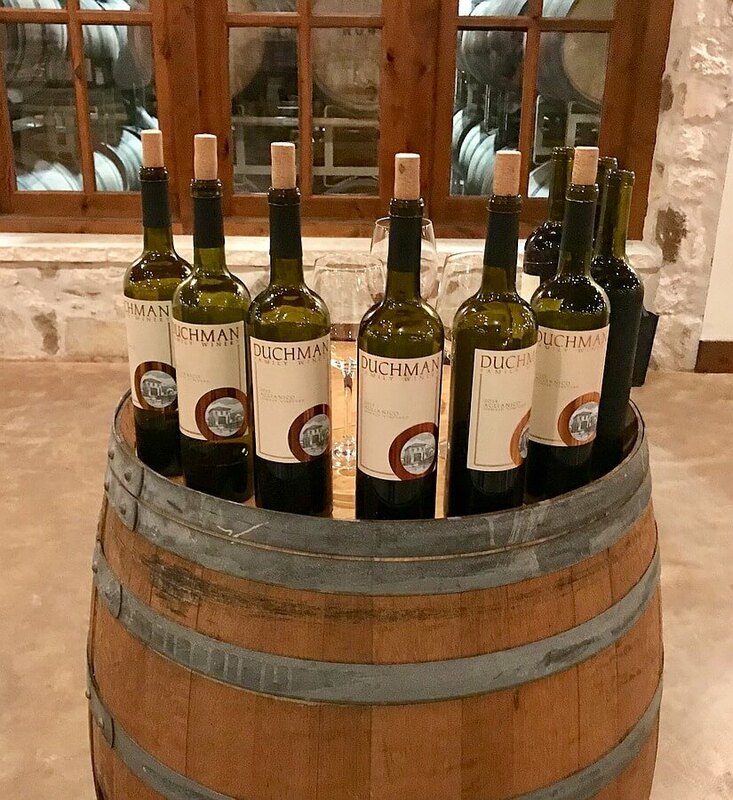 All three of us certainly recommend a stop at Duchman Family Winery in Driftwood as you explore the Texas Hill Country wine region. 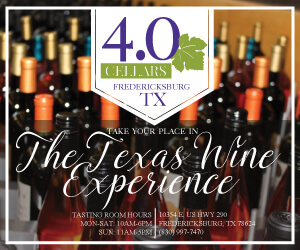 It will be a treat to taste delicious 100% Texas wines produced by winemaker Dave Reilly and his team from Italian varieties like Aglianico, Montepulciano, Vermentino, and Trebbiano.